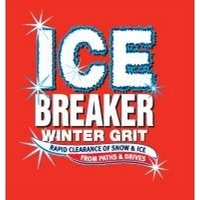 The site sells 21.5kg carry bags of winter grit, which contain rock salt and are ideal for protecting large areas such as car parks. They promise delivery within 24 hours of purchase. The code, which is valid until January 31st, gives five per cent off and involves no minimum spend. Enter HIGHFIVE to claim the discount. Categorised under Retailers, tagged under rock salt, ukwaterfeatures.com, voucher codes.